Stew is probably my favorite comfort food. 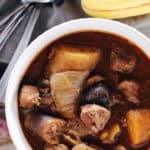 There is something so cozy and warm about it, and add that you can easily make it in your crockpot, and I’m totally sold! 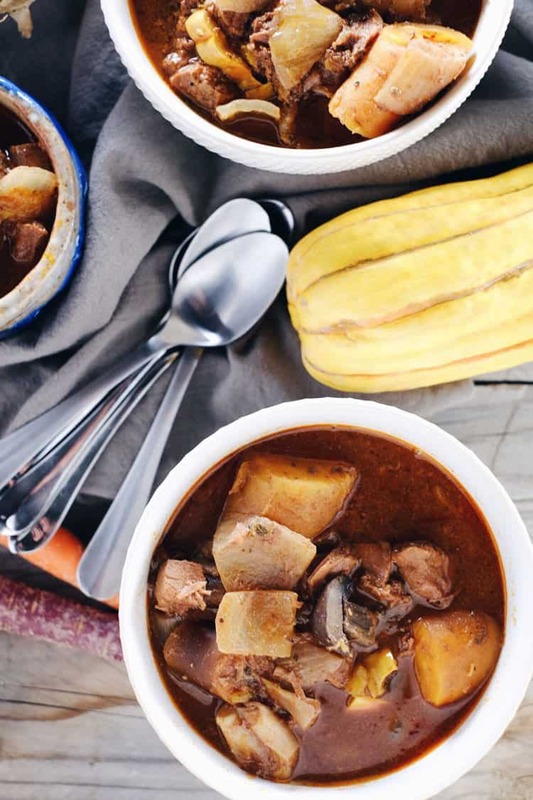 This crockpot beef stew is simple, yet hearty and boasts plenty of flavor. I mean seriously, prep your crockpot the night before, and then all you have to do is get it going the next morning. That evening you’ll return to a wonderful smelling home and dinner already made. Done and done! All you have to do is place all of the ingredients in your crockpot in the order listed below in the recipe. If you have a crockpot with the removable basin, you can prep it the day before, and then just store it in the fridge overnight. The next morning before you head out the door, return the basin to the crockpot and cook on low for eight hours. Go about your day while the magic happens. 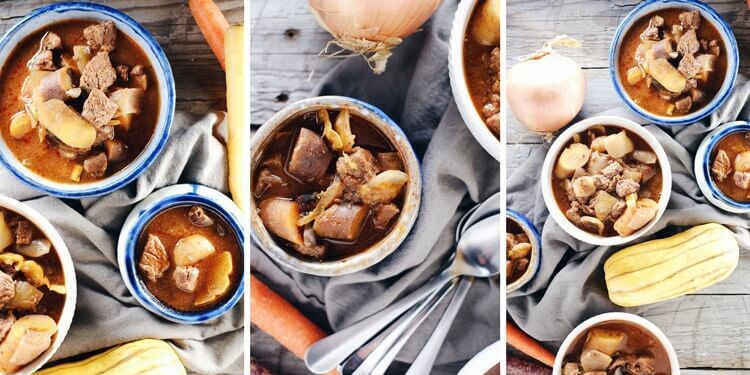 The special ingredients in this crockpot beef stew are sage and rosemary. They add an extra level of depth to the beef and veggies. It is also most yummy when you use homemade bone broth, which you can also make in your crockpot. We make it in our crockpot or on the stove, and then freeze it in quart-sized containers to have on hand for when a recipe calls for it. 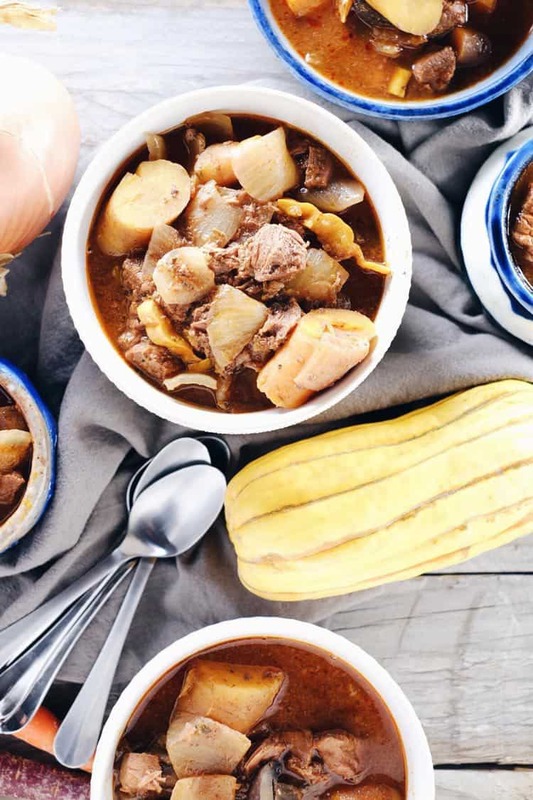 Make this crockpot beef stew for an easy and delicious weeknight dinner! It’s great for leftovers, too! Let us know how it goes by leaving a comment below, take a photo and tag us on Instagram @realsimplegood, so we can check it out! Prep the vegetables as indicated above. Place all of the ingredients in your crockpot in the order listed above. The beef stew smells amazing! I’ll let you know how it taste in 4 hours. Ha ha, at least it passes the smell test!